"Focus on the Future" - City Branding of Mississauga in Ontario, Canada. Case study by David Ferreira, Jeannette Hanna and Malcolm Allan on how to develop a city brand strategy. David Ferreira is the Brand Manager for the City of Mississauga in Ontario, Canada; Jeannette Hanna is the strategy Director for trajectory, a brand strategy and design agency based in Toronto, who led the consulting team that developed the city’s brand strategy; Malcolm Allan is the founder and managing director of Placematters, a UK place brand strategy consultancy, based in London, who provided advice on city branding strategy and practice. Key lessons and city brand strategy advice. When you are a young, fast-growing urban centre on the border of one of North America’s largest cities, promoting yourself to the world can have its challenges. But Mississauga, Canada’s sixth largest city, is reshaping its image beyond the shadow of nearby Toronto – less than 30 km away – as a magnet for international talent and investment in its own right. A key strategy in fueling the city’s already impressive momentum is a multi-year brand-building commitment. This post examines the lessons from Mississauga’s approach to initiating, creating and implementing a place brand proposition that’s been broadly embraced by diverse stakeholders and the community at large. Clearly, Mississauga has a lot going for it. Global businesses, regional start-ups, and residents from around the world are drawn to its high quality of life, excellent programmes and services and welcoming atmosphere. It’s a very different place than when it was first established as a municipality in 1974. Back in 1974, residents numbered less than 222,500. Today, the city’s population has tripled to 757,000, making it not only Canada’s sixth biggest metropolis but one of its most culturally diverse as well. It’s home to 63,000 businesses, 71 leading Fortune 500 companies, two leading community hospitals, and two renowned post-secondary institutions. Mississauga has won numerous citations for its future-friendly attributes including: Top employer for young people and newcomers (2012 Mediacorp Canada Inc.’s “Canada’s Top 100 Employers”) and Best Overall Mid-sized City of the Future (2013 Foreign Direct Investment Magazine’s American Cities of the Future). Mississauga enjoys the kind of global connections and cultural diversity of cities more than twice its size in North America – a huge advantage for its businesses and people. 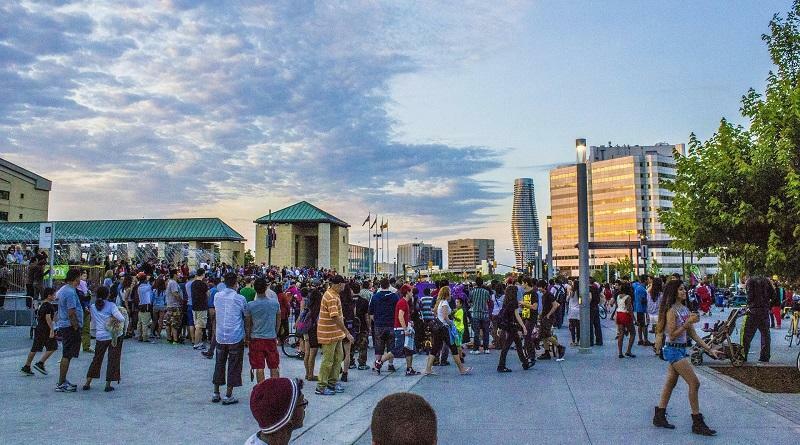 Mississauga continues to grow and transform itself in exciting ways. It has an ambitious and aspirational vision for the future. However, outdated perceptions often lag behind reality and can be difficult to change. Beyond its own borders, many people continue to view Mississauga as simply a suburban bedroom community. City leaders agreed it was time to tackle the problem head on.